The internet is divided over the man's proposal. A MAN has been accused of stealing his girlfriend's "thunder" by choosing to propose to her while she was halfway through a marathon. 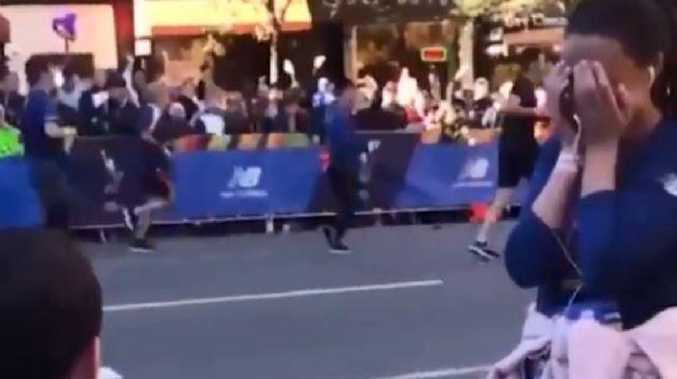 Kaitlyn Curran was about 16km away from completing her first New York City marathon on 6 November when she spotted her family in the crowds. The moment Kaitlyn said yes. The nurse from New Jersey ran over to her cheering supporters when her long-term boyfriend Dennis Galvin hopped the barriers and dropped down on one knee. 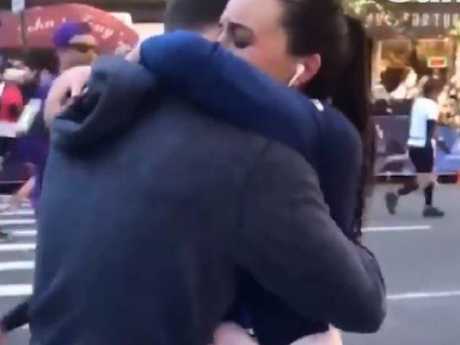 Shocked by the unexpected proposal, Kaitlyn covered her face before pulling him in for a hug and accepting the proposal. Determined to complete her remaining ten miles, Ms Curran then yelled: "I'm going to finish this race!" However, now outraged social media users are accusing Mr Galvin of being "self-absorbed" for proposing in the middle of his girlfriend's marathon. One disapproving user wrote: "He couldn't let her have her day without throwing himself into the mix. Seems selfish to me." Another added: "Mile 16? Way to steal her thunder. On a scale of 1-10, I give this a proposal 1 for its thoughtlessness, selfishness and poor timing. Booo, dude!" AND he didn't even take her sweatshirt that she clearly didn't want or need! I'd have given the ring back at the finish line. Flipping the proposal back on him, one user wrote: "I wonder what this dude would've done if he was in the middle of a huge work presentation that he was working on for months and then, midway through, she interrupts with a proposal." What's more, one woman who was actually proposed to after a marathon then weighed in on the matter. However, other users have jumped to the couple's defence. Insisting that people "stop raining on their happy moment", one user said: "We don't know the dynamics of their relationship. There was a reason there were so many family and friends there." One user joked: "If he really loved her, he would've waited until after the race, given her a massage, taken her to a nice dinner, left her alone all night so she could have a nice long rest, woke her up the next morning with homemade waffles and strawberries THEN asked her to marry him." Another told critics that "maybe her fiance gave her a dream proposal". 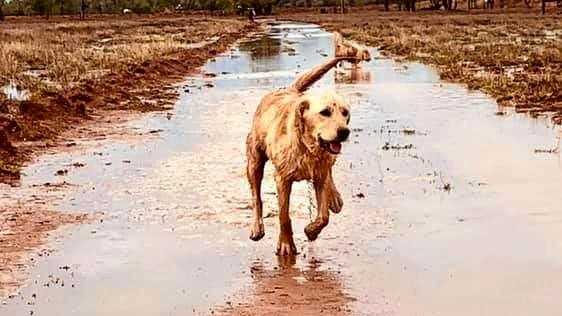 The outraged user wrote: "The amount of negativity on this is astounding. As someone who has actually run a marathon, I would have been v happy to get engaged at mile 16. IT would have helped!" Shedding light on the questionable choice of timing, Ms Curran's cousin Rachel Bossabaly revealed that Mr Galvin was not allowed to wait at the finish line to pop the question. She wrote: "I can't tell you all how happy and grateful she was and still is about how everything turned out. "This is a happy memory that they will both have for the rest of their lives." This article originally appeared on The Sun.